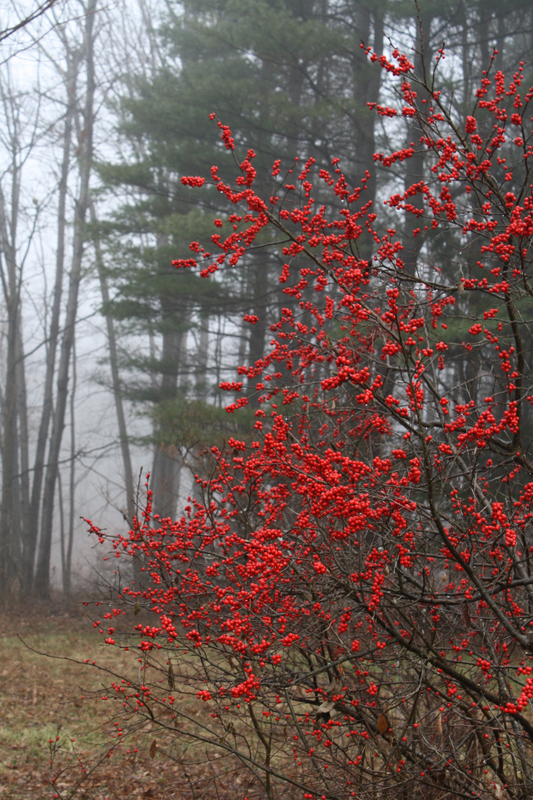 When the leaves have fallen and the landscape looks drab, winterberry holly provides a splash of color. 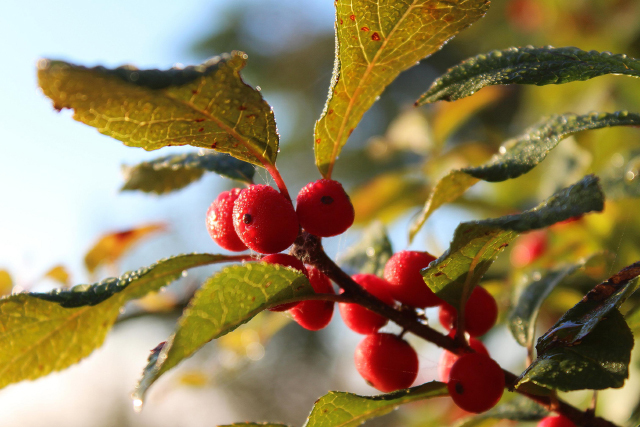 Unlike the familiar American holly, this plant loses its leaves in the fall, which makes the berries stand out even more. 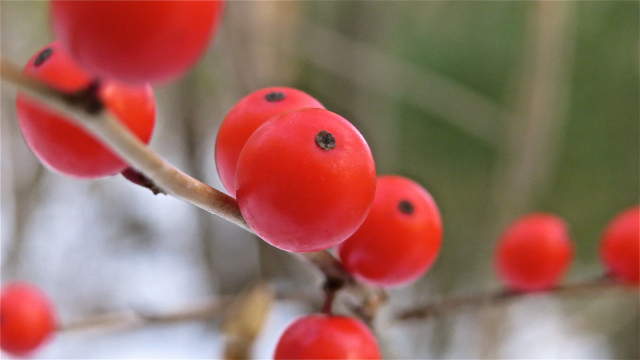 Only the female plants make fruit, and they’re much-needed winter fuel for mammals and birds. 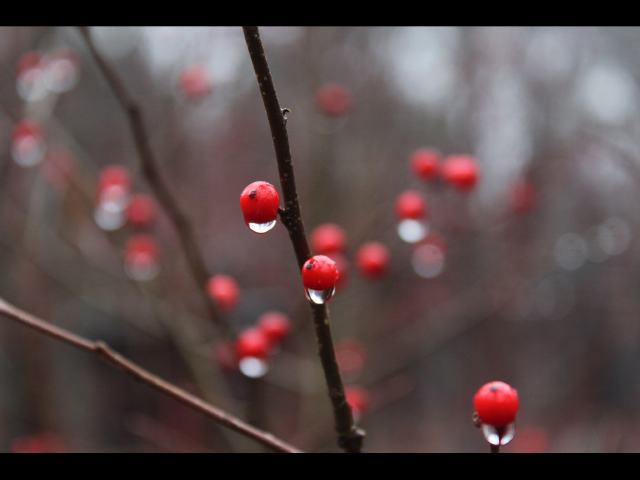 Enjoy these festive winterberry holly photos from past editions of our Photo Contest. 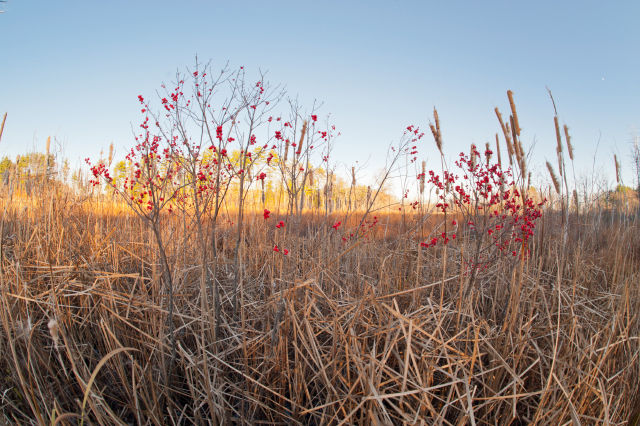 View the winners of the 2015 Picture This: Your Great Outdoors photo contest here. This entry was posted in Take 5 on December 21, 2015 by Rosemary.